Introducing the AK-302 system from RS Regulate. 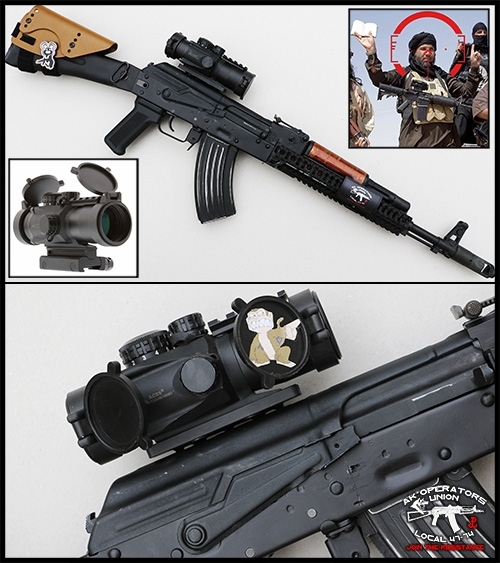 The AK-302 mount system is a rugged family of mounts for side rail equipped Kalashnikov rifles. 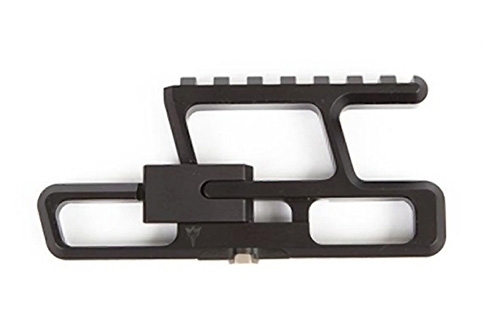 The AK-302 system is the worlds first modular side rail system and is made of 6061 T-6 billet aluminum, Titanium and SS hardware and milled on precision 5 axis CNC controlled machine centers, the AK-302 system is the lightest and thinnest side mount in the world. Based on the highly successful and exceptionally durable RS proprietary technology, the AK-302 system adds the capability to change upper optic mounts as needed and to position optics not only directly over-bore, but front-to-back. The AK-302 system also introduces the new low profile RS lock system built with titanium and aluminum that does not protrude from the mount or into the trigger guard area. Front-Biased Optic Rail is under 3.0oz, ideal for the ultimate light-weight use. Side mount rail base only, include optics mounts. Side mount rail base only, don't forget optics mounts (like AKR or AKOG for example).